Forget Napa. 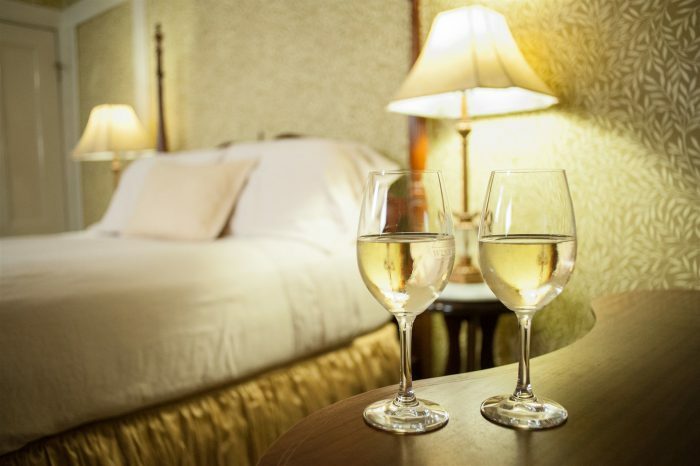 A Sonoma wine country honeymoon is the way to go. Very much the road less traveled, you’ll be pleasantly surprised by Sonoma. Less touristy, less expensive, and slower-paced than Napa, Sonoma is peaceful and serene yet it can still provide that full wine country experience. 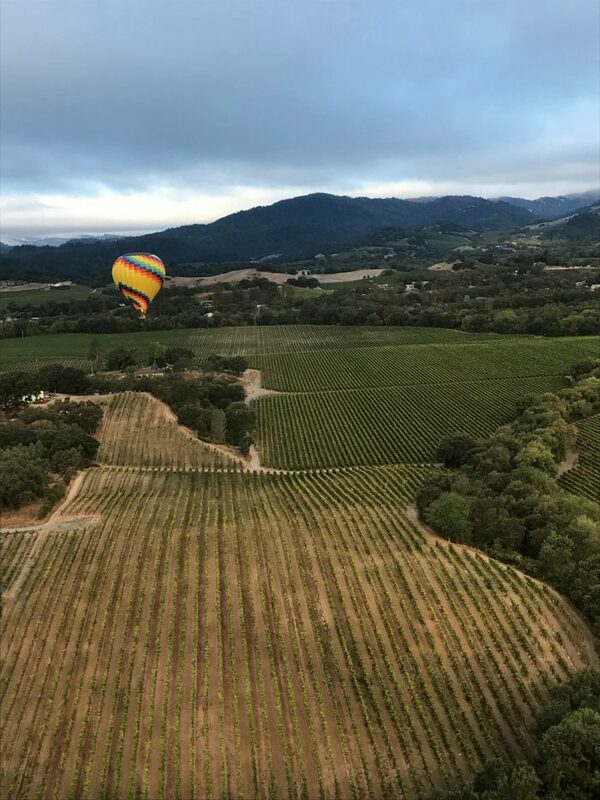 Romantic tastings, adventurous activities, and world class luxury with a small town feel, there is something for everyone in Sonoma. So I say head there instead! 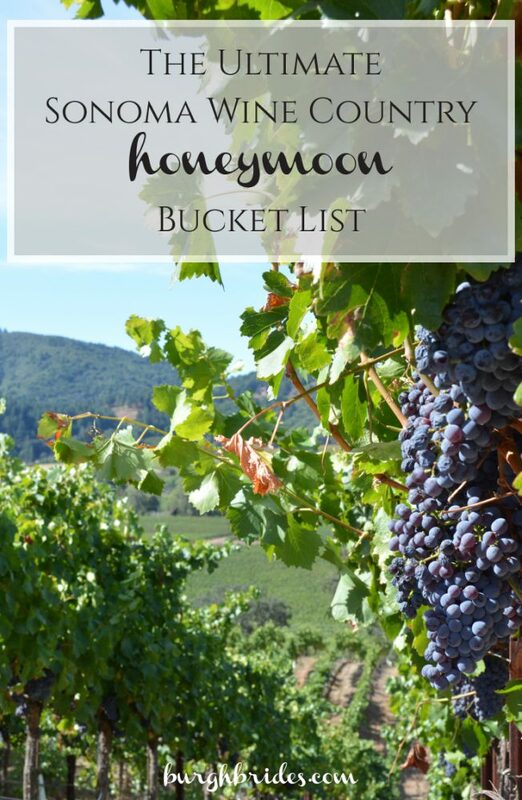 Take a look at my ultimate Sonoma wine country honeymoon bucket list and start planning your post-wedding getaway! With a plethora of bed and breakfasts ranging from quaint to luxurious, I say shop small when it comes to accommodations. Staying at a B&B comes with so many more perks – you’ll feel more pampered while still getting that privacy you’re longing for. Plus, hello home cooked breakfast! And because you’re in wine country, most feature a tasting and/or cheese pairing reception nightly. 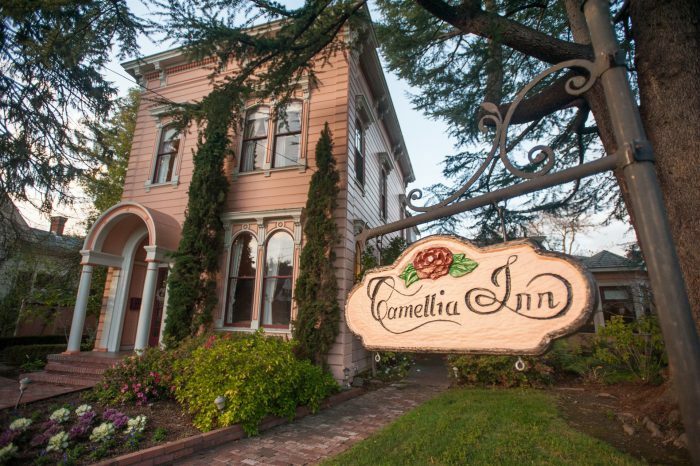 My personal favorite home-away-from-home is Camellia Inn. What was once the first hospital in Healdsburg is now a small but mighty B&B within walking distance of many attractions. Owner Lucy is a sweet-as-pie innkeeper who treats each guest like family. However, it was the bed and sheets that made my stay worthy of penny. BEST. NIGHT’S. SLEEP. OF. MY. LIFE. Available through The Wine Road, this $30 pass will allow you a free tasting at any of 60+ wineries. It’s a great way to check out many of Sonoma county’s delicious sips while saving a buck. If you were to go at it on your own, most tastings range from $8 to as high as $55. It doesn’t take a math genius to realize the wine pass will easily pay for itself. And don’t think that it only includes sub-par wineries either. You’ll find such recognizable names as Clos du Bois, Kendell-Jackson, and Korbel, to name just a few. Make your rounds on Sonoma County with this tasting pass to a sampler’s paradise! All those wine tastings can take a toll on your sobriety, and a DUI is never worth it. Stay safe and hire a driver for the day. The expense will not only ensure that you don’t break the law, but it will also allow you to sit back and enjoy the day. While someone else navigates the road, you can relax and revel in the beauty outside your window. And if you want a driver who is knowledgeable, helpful, and always up for an adventure, I recommend Aaron of Healdsburg Vino Tours. Dude knows his way around the vineyards. Oh, and if you’re thinking you’ll just call a Uber….yeah….ummm, not likely. Not only are there not many drivers in the area, but you likely won’t get services in the valley either. That’s where having a personal driver comes in the most handy! 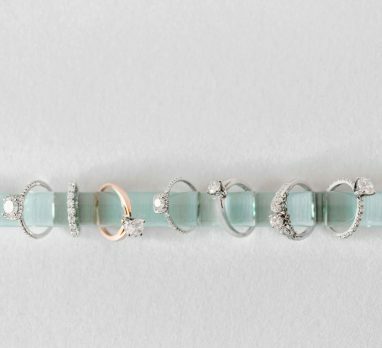 After the craziness of the wedding, you’ll be in desperate need of some personal TLC. Relieve some of that stress and work off those post-wedding blues with a few spa treatments. The Spa at Hotel Healdsburg offers head to toe services that will have you feeling like a new person in no time. 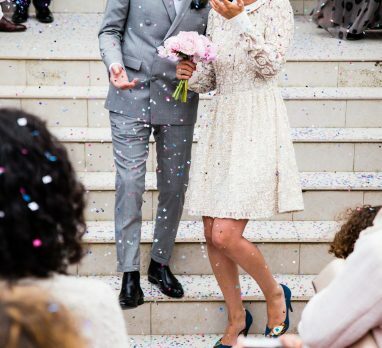 Try the oxygenating facial to keep that bridal glow long after the honeymoon, or a side-by-side Himalayan salt stone massage in the couple’s suite. Afterwards, take advantage of their outdoor pool and jacuzzi, complete with water-side beverage service. 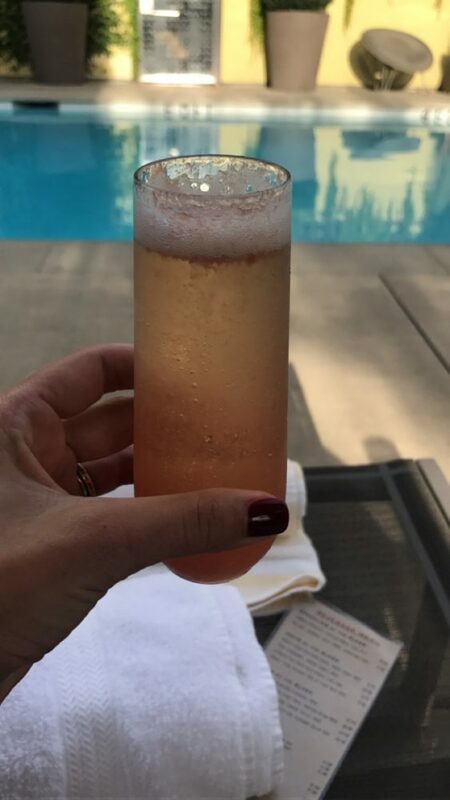 Because nothing says luxury quite like a glass of prosecco while basking in the California sunshine. If you thought the area was pretty from the ground, just wait until you see it from the air. 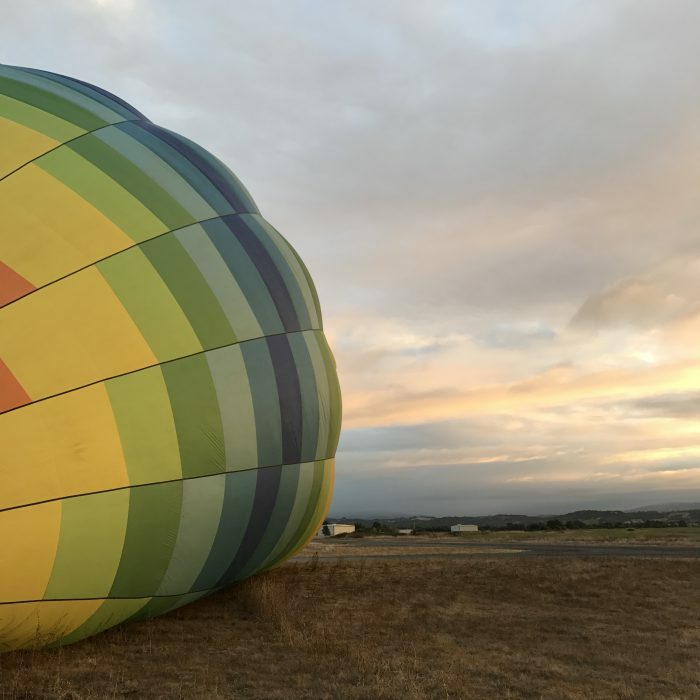 Wake up early and face your fear of heights with a sunrise hot air balloon ride over Sonoma wine country courtesy of Up & Away Ballooning. 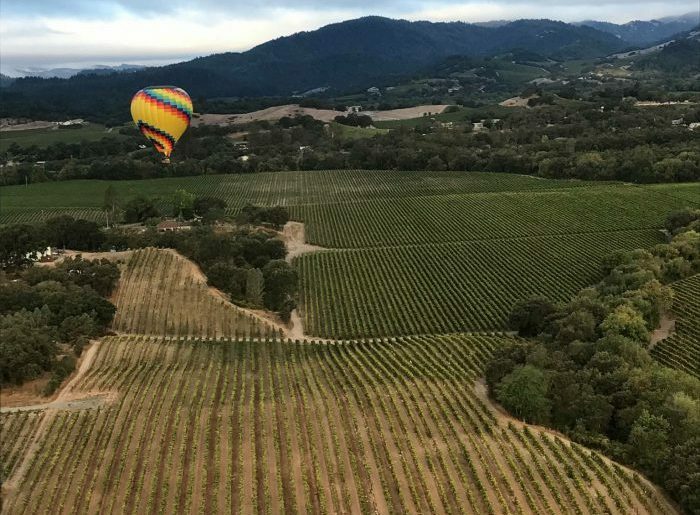 You’ll soar over lush vineyards, rolling foothills, and skyscraping redwoods. Talk about breathtaking. In that basket sipping champagne in the sky, you’ll feel like you’re in your own little world of two. I can’t think of anything more romantic post wedding day. If you blink while driving through “downtown” Healdsburg (the keystone town of Sonoma wine country), you’ll miss it. It’s small but this little wine town has a lot to offer. It is very much a walking town and the main drag is full of cute boutiques, inviting tasting rooms, and yummy cafes. Spend a few lazy hours meandering through the adorable streets and you’ll find yourself plenty entertained. Whether its window shopping, wine sipping or even restaurant hopping, spend some quiet time together, holding hands and taking in all Healdsburg has to offer. Now that the wedding is over, you don’t need to worry about fitting into that dress, which means you can go back to indulging in delicious treats. Moustache Baked Goods can help you overcome that sugar craving. Cupcakes (try the banana brown butter chocolate! ), macarons, whoopie pies and more grace their display cases, making choosing just one very difficult. If cold desserts are more your thing, visit their close-by sister shop Noble Folk. Featuring locally sourced ice cream, it’s a great way to beat the California heat. For an even bigger treat, try their homemade pies. Or go all crazy and opt for an a la mode slice to combine the best of both worlds. You can’t go to northern California and not partake in some outdoor activities. 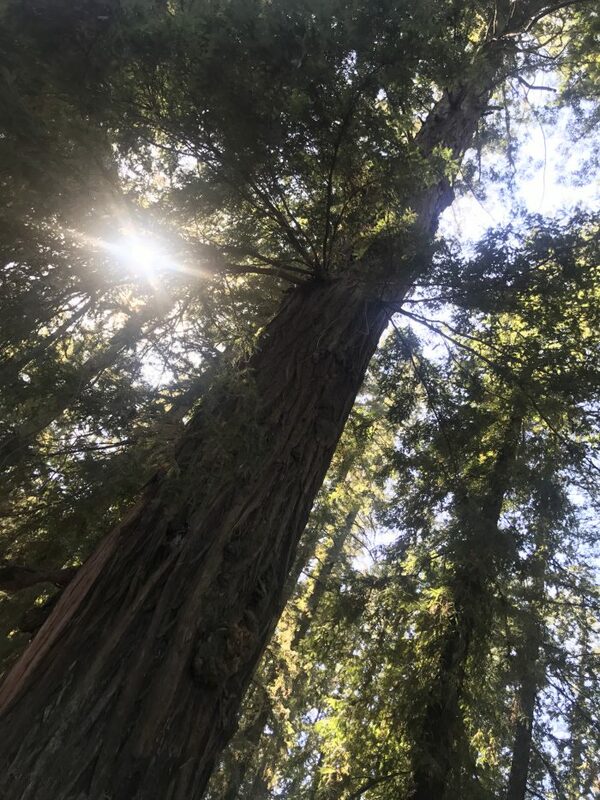 Whether it’s heading to a near by national forest to be impressed by the redwoods, renting a canoe and hitting the water, or riding bikes and taking in the scenery of the valley, make some time for nature during your stay. There is an outdoor adventure for everyone and every skill level. The weather is gorgeous pretty much all year round and you’ll be in awe at how beautiful this earth really is. Plus, you’ll need to do something to work off all of those wine calories. So what do you say…have I totally sold you on a Sonoma wine country honeymoon yet? Comment below and tell me if you’ve ever been there and what you loved most about it! I’m already planning our return trip!!! While this post was sponsored by The Wine Road, all opinions, insight, and recommendations are my own. Want to read what others are saying? 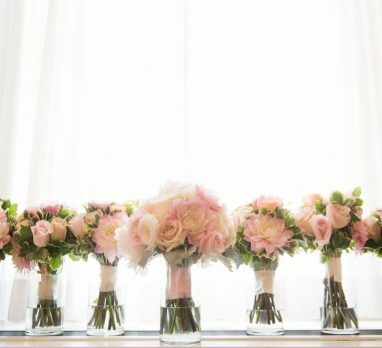 Check out these posts from my friends at Apple Brides and United with Love! 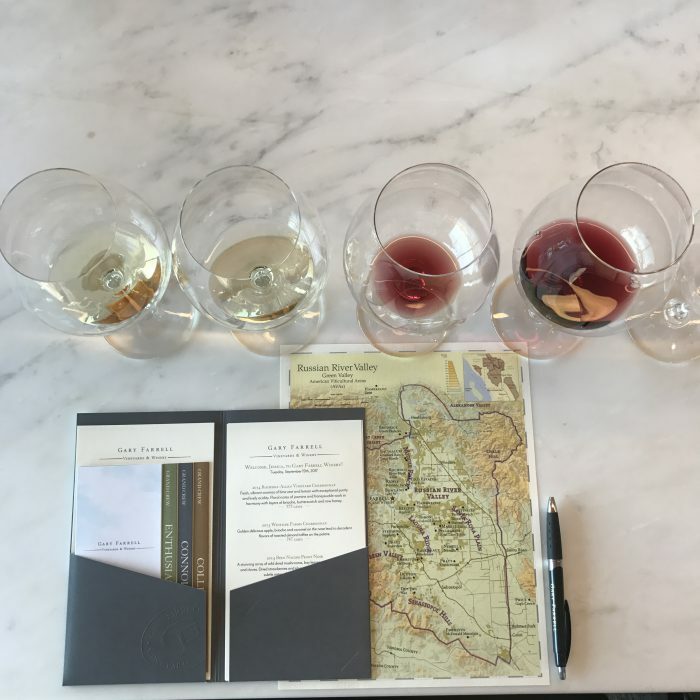 Pingback: Washington Wine Country Versus California Wine Country? You Can Love Both!